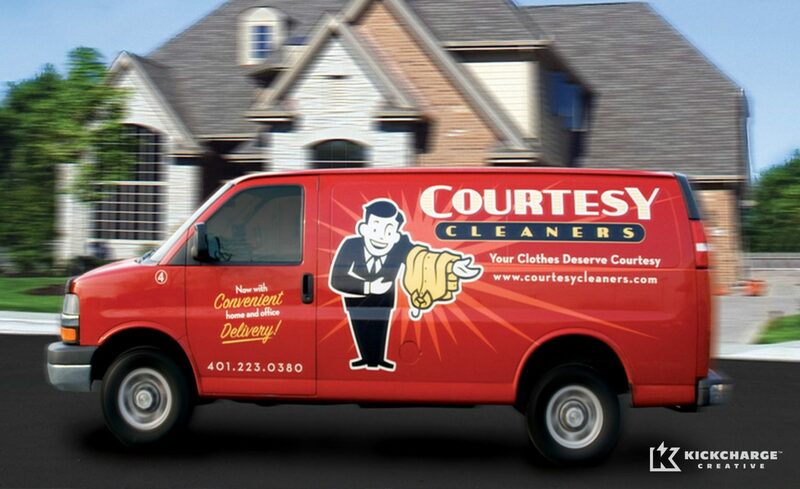 Courtesy Cleaners, a dry cleaner that began operations in 1995 with a single location, was struggling to establish its brand in the market. “In our business it is most important to provide quality service above all. We live and die by the reaction every time the plastic is removed from a customer’s garments,” said Peter Baffoni, CEO of Courtesy Cleaners. Even though the company’s service was second to none, they wrestled with effective brand recognition. 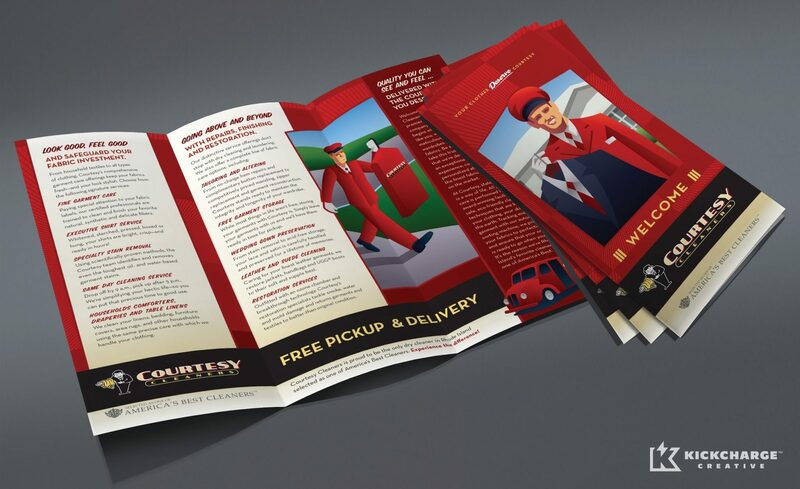 Adding to the challenge, the team desired a homogenous approach that could be translated easily to various media and collateral used in its retail locations, print media, store signage and fleet vehicles. 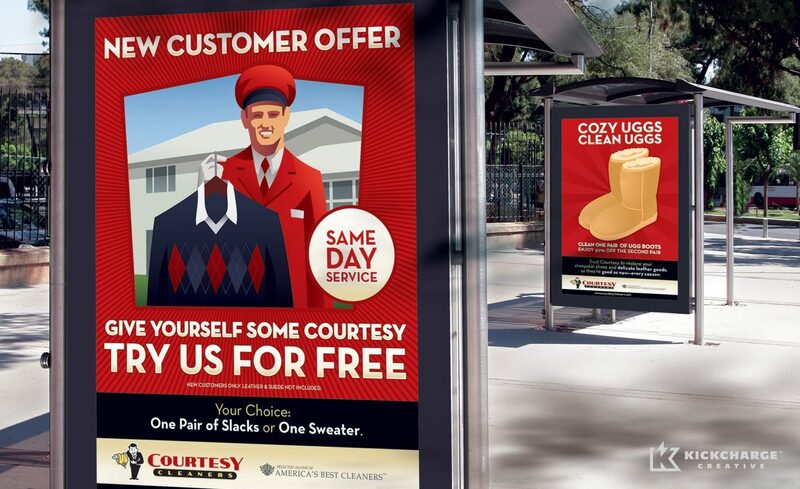 With a name like Courtesy Cleaners, we knew that the branding should reflect the great service that people expect. We felt a retro-themed brand would fit the bill, and a custom icon would instill that emotion. We took advantage of the five large delivery vehicles that Courtesy uses throughout their six locations, and devised a clever and memorable layout that stands out in traffic, is easy to read and remember, and reinforces the core branding. Plus, the web site, stationery and in-store signage all carry the new Courtesy branding. We knew the new brand was a success when the compliments began rolling in, and didn’t stop. “We get comments all the time about how people love our big red trucks and that recognition translates into word of mouth promotion. 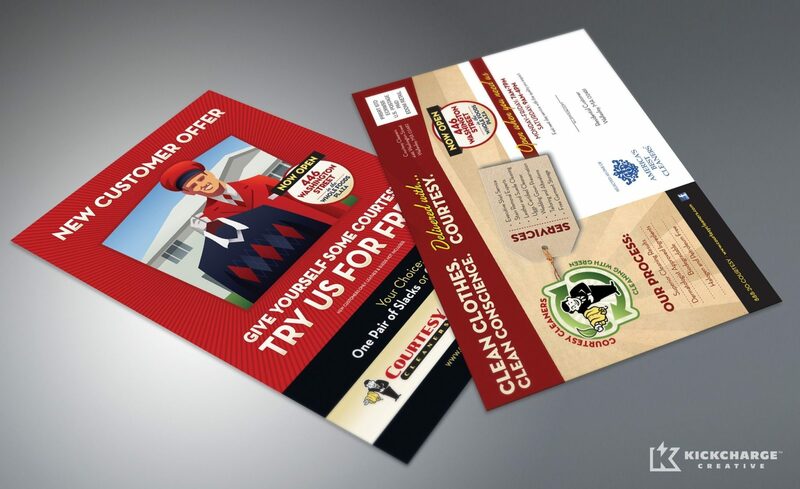 Whenever we do any print media work we usually receive comments from the in house designers about how they love our brands ‘feel’,” said Peter. Not only is brand recognition up, but sales have also gotten a boost. “I am sure that our growth was accelerated by the name recognition and professionalism conveyed by the brand work KickCharge Creative did for us,” he said, adding he is “impressed by the pivotal role” our work played in helping the company achieve its growth objectives. And now Peter gets to focus on what he does best, and leave the strategic marketing to us.